Enjoy a Saskatchewan quality deer hunt at a convenient and economical east coast location. Nestled on the edge of the Tobique River in Riley Brook, New Brunswick with a population of 70 local residents, OMM's outfitters hunting areas are in one of the largest deer yards in New Brunswick. 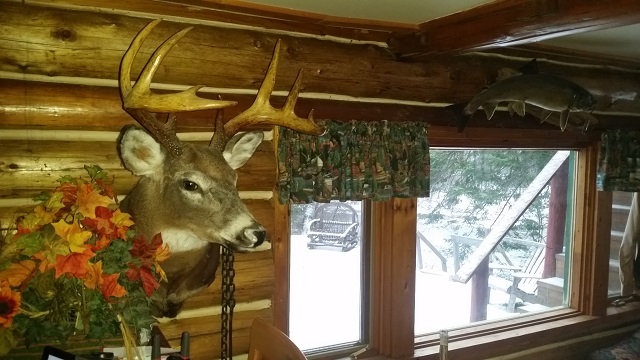 Year after year, a large population of whitetail deer makes this home during the long winter months. 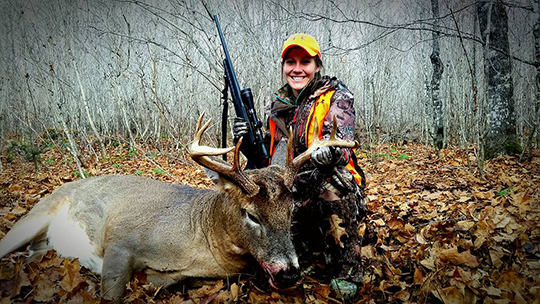 With a high population of mature bucks, tens of thousands of acres of gated and non-gated areas provide low pressure hunting of a large deer herd. A comfortably appointed lodge offers great food and clean, comfortable on the grid accommodations. The sites are situated in travel corridors, funnels, and pinch points. Success is due to the many hours spent monitoring cameras that are placed on mineral blocks and keeping a focus on rub lines and scrapes. Once select bucks are located, blinds and tree stands are strategically placed while taking the wind direction into consideration. Whether you are hunting a rub line, active bait, or tracking one of the many bucks in the area, you will have a true deep woods adventure of a lifetime.